Do you know how retailers can employ beacons to enhance the local search of their store? How Coca-Cola plans to use beacons with its vending machines or, how Airside Mobile plans to employ Google Nearby to fuel app adoption? Our latest beacon roundup aims to answer all the above questions, plus a bit more. 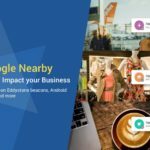 Dig into the content below for posts on how beacons will impact local search, Coca-Cola’s plans to test Eddystone beacons with vending machines and other top industry blogs. Airside Mobile, an innovative mobile travel app that allows users to bypass the customs line at airports, recently leveraged beacons to drive direct downloads among Android users at several major airports, via the Nearby Notifications feature (announced at Google I/O 2016). As a part of this campaign, beacons have been deployed near the departure and arrival areas at several international airports including San Francisco International Airport, Newark Liberty International Airport, John F. Kennedy International Airport and San Jose International Airport. Once a user walks by a beacon, it sends a push notification to his/her Android smartphone prompting him/her to download the Airside Mobile app directly from Google Play Store, thereby simplifying the user experience. Check out this article to learn how Airside Mobile plans to use Google Nearby to fuel app adoption. Until recent times, localisation was largely limited to areas that were defined by the coordinates of a map. While these worked really well at locating buildings, they weren’t of much use once people actually entered a space. This is where beacons come into the picture. These proximity detection devices hold a huge advantage here as they allow marketers or brands to pinpoint a location down to a few meters and transmit and receive data in real time. And given that these interactions can only be triggered when consumers are within a specific geographic range, beacons hold huge potential at increasing the importance of local search. Read this post to learn in detail about how retailers can use beacons to optimize the local search of their store. Beacons hold great potential when it comes to informing smartphone-equipped shoppers of vending machines around them. And this was the topic of the hour at a technology seminar at the National Automatic Merchandising Association’s 2016 OneShow, held in Chicago recently. As a part of the seminar, Google’s Dan Cath and Coke’s Derek Myers, offered some deep insights on potential applications for beacons in vending machines. Myers observed that beacons help tie vending machines together into a “connected smart fleet” and provide for seamless payments and remote machine monitoring. Check out this post to learn in detail about the potential ways in which beacons can be put to use along with vending machines. In their efforts to aid Olympic visitors with navigation in and around the airport, Rio de Janeiro’s Galeão International Airport recently deployed 3,000 beacons across its 100,000-square-meter building. The beacons work in conjunction with the RIOgaleão app to give travelers turn-by-turn directions around the airport. A traveler can just pull up the map in the airport app and type in a destination, such as Starbucks, or his flight number, and the app will display the best path to his destination and list out directions accordingly. Read this post to learn in detail about the other features offered by the app besides indoor navigation. Progressive Web Apps — next-generation apps that stream to a customer’s device and are fully indexed by search — are well on their way to creating a new gold standard for the customer experience that shoppers will come to expect from retailers. As a result, going ahead mobile users will be able to access apps without having to download them. This new standard also means that in order to meet customer expectations, retailers will need to bring app-like experiences to mobile websites, including personalization and targeted offers. Check out this article to learn how retailers can employ progressive apps to drastically enhance customer experience.